It's common knowledge that Google has been working on a travel application for some time now. Last week, Maps Explorers were emailed and asked to complete a short survey for a chance to test it before everyone else. Now we know what this app is called, and what it does. 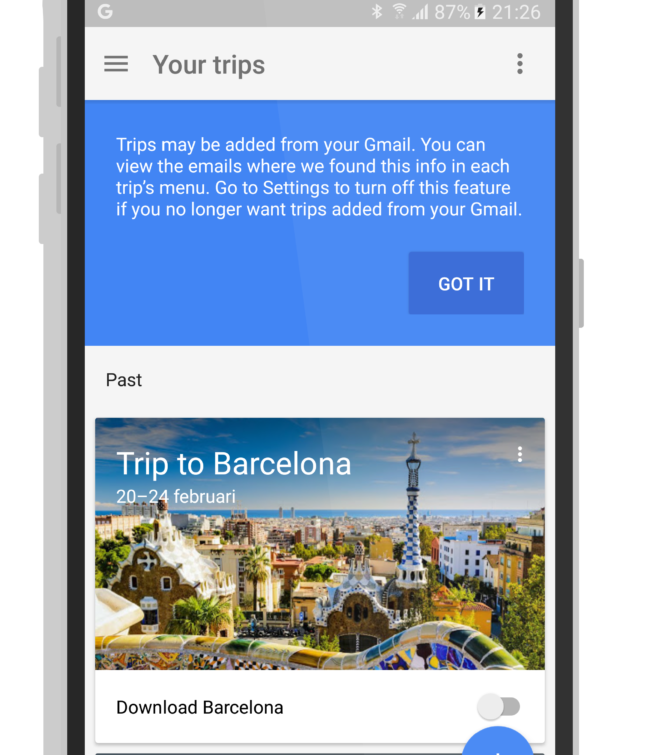 Meet Google Trips. Details are a little thin on the ground. After all, it hasn't been officially announced by Google. But that still hasn't stopped screenshots finding their way into the awaiting arms of the tech press. So, what does it supposedly do? Perhaps the biggest feature of Google Trips is that it scours Gmail for hotel reservations and flight bookings. These are then organized into single itineraries, allowing you to quickly find your hotel's address, or your flight times, without having to trawl through millions of emails. 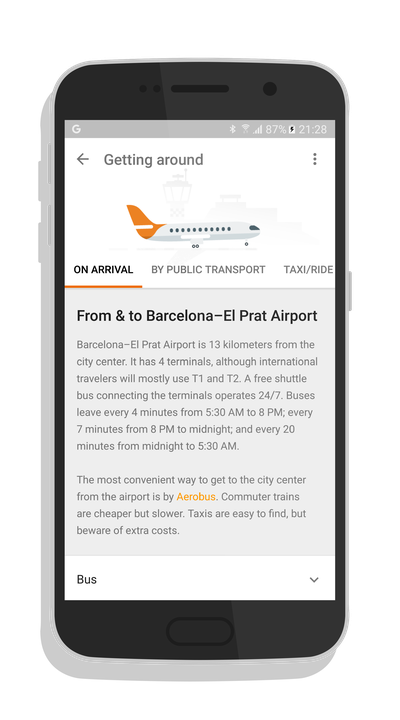 While this has been done earlier (and done well) by TripIt, Google's own Inbox, and even BlackBerry Travel, an official, dedicated Google app offering the functionality will undoubtedly be welcome news for frequent flyers and travelers. When Google Trips has worked out where you're heading to, it will show you a detailed guide to that locale. As leaked screenshots have suggested, this will include information on public transportation, ridesharing options, restaurants, and bars, as well as suggestions tailored to the user. According to Android World, many of the suggestions come from locals themselves. 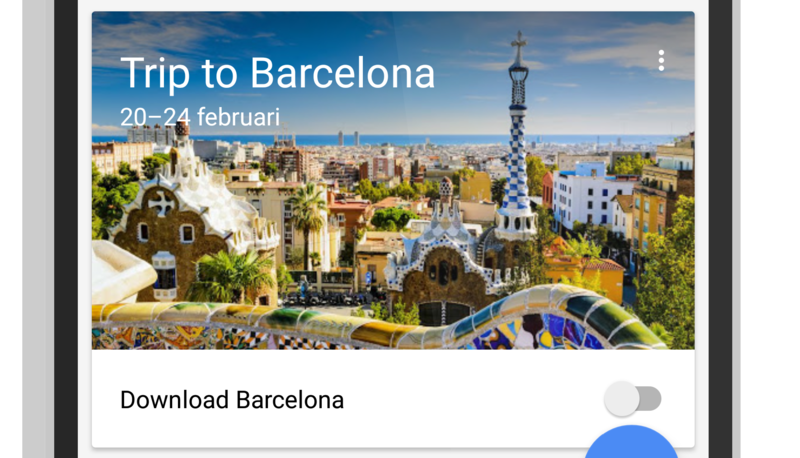 As a result, it's hardly surprising that Google is only testing the app with level 2 local guides, who have proven themselves by submitting photographs, tips, and reviews.